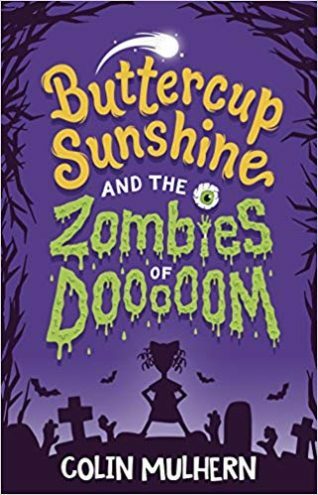 Colin Mulhern's debut dive into middle grade fiction, Buttercup Sunshine and the Deadly Undead Zombies of Doooom (Maverick), combines puerile silliness with a love of classic horror. Colin currently works as a teaching assistant in a primary school. 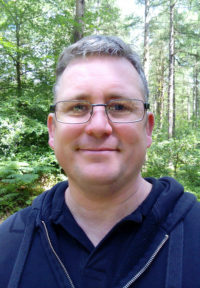 Before working in education, he trained as a graphic designer and spent several years in the video games industry working on an eclectic mix of gothic horror, science fiction and Barbie. He still doodles, usually while teaching. Colin has three sons, a wife, a dog and a cat. He likes magic, but isn’t particularly good at it. He believes in ghosts, the Loch Ness Monster, telepathy and flying saucers - and pretty much anything else if it sounds convincing.